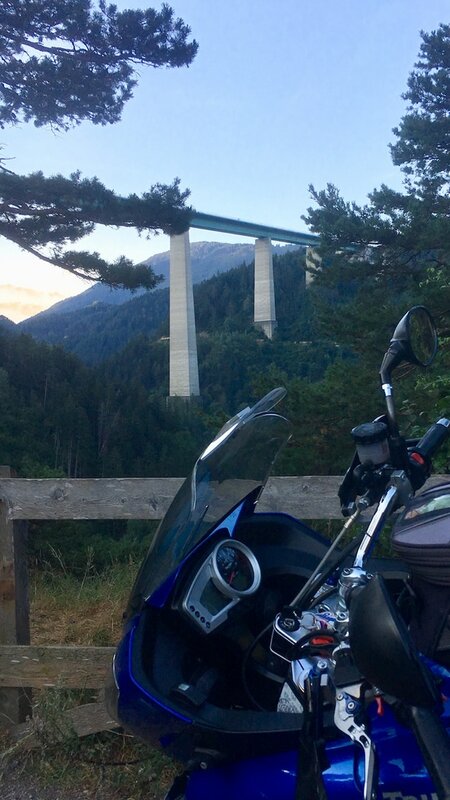 Harald is a RISER AMBASSADOR and shares his motorcycle experiences on the RISER blog with you. Follow him on RISER app, check his routes and stay up to date on the latest recommendations! 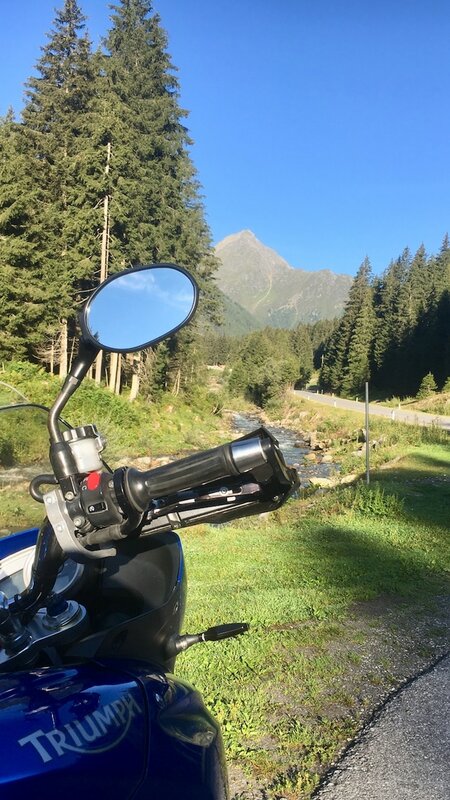 The other day Harald was on a ride around the Stubaital Valley in Austria. 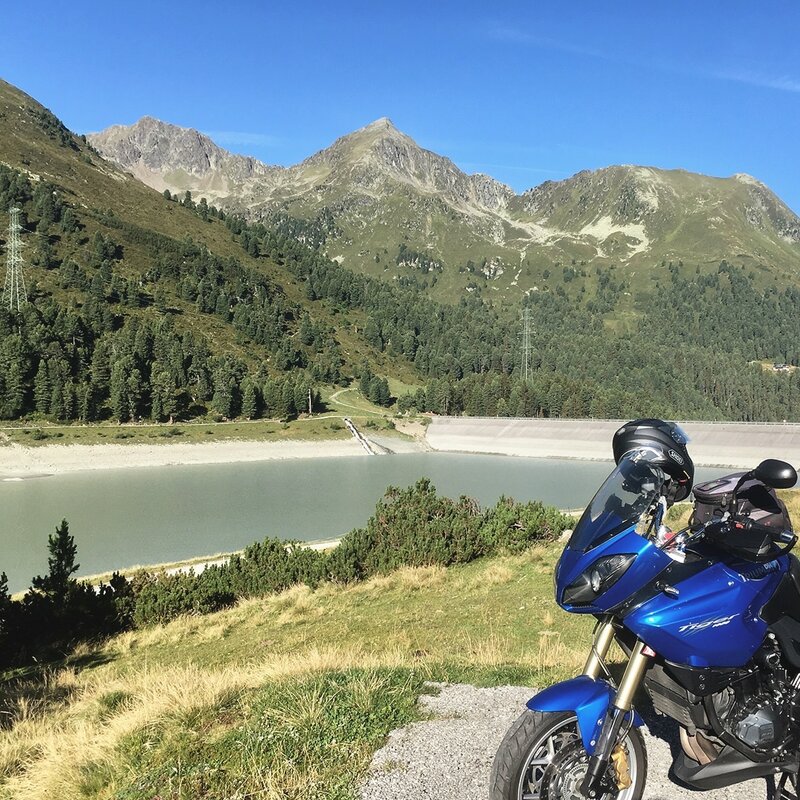 Sunday morning: The air and the sky are clear and crisp… So up on the ‘TriumphTripleTiger’ and after having a cappuccino we go towards the morning and the sun, from the Stubaital towards Kühtai. Wooow – what wonderful fresh air flows into the helmet. 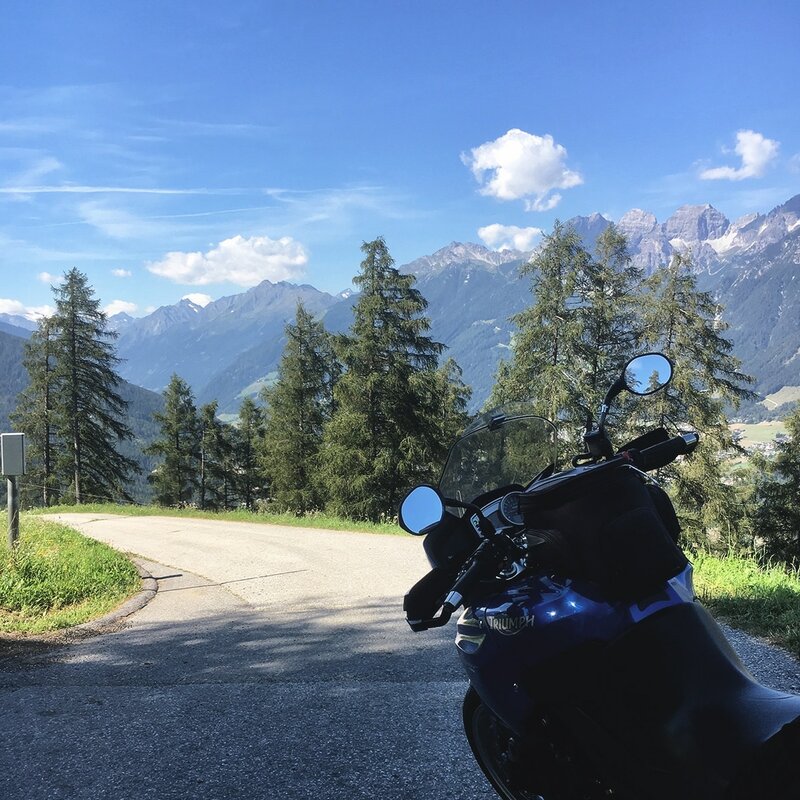 Follow the Stubaital Bundesstraße in the direction of Schönberg and then behind Schönberg onto the B182 in a relaxing, swinging rhythm in the direction of Mutters. The view of the Europa Bridge and the first rays of sunshine ensure a relaxed start into the day. Behind Mutters there is a magnificent view from Telfs (Oberland) to far behind Innsbruck and the Nordkette. I make a stop to simply let the landscape work its effect on me. From there, take the L304 towards Götzens, Birgits and Axams to Kematen. There is also the famous blue “Backhaus Ruetz”. At the intersection before Kematen we turn left into the Sellraintal Landesstraße. From there we head for the “Kühtaier mountains” via Sellrain, the mountaineering villages of Gries in the Sellrain valley, St. Siegmund and Hagen, towards our destination “Kühtai” at 2020m. And from here on, cows and donkeys stand by the roadside guarding the road. At the Längenthal reservoir you have the opportunity to relax and let your mind wander. Take some food for a little picnic and enjoy the view and your time off while eating. 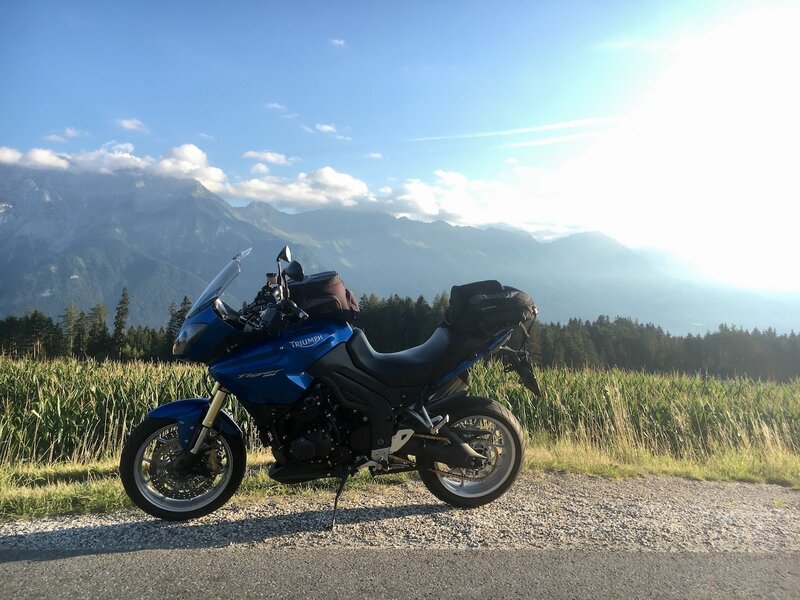 But there are also plenty of opportunities to stop in the Sellrain Valley, for example the “Bikerrast Sporthoine Hotel Antoine” in Gries im Senraintal. 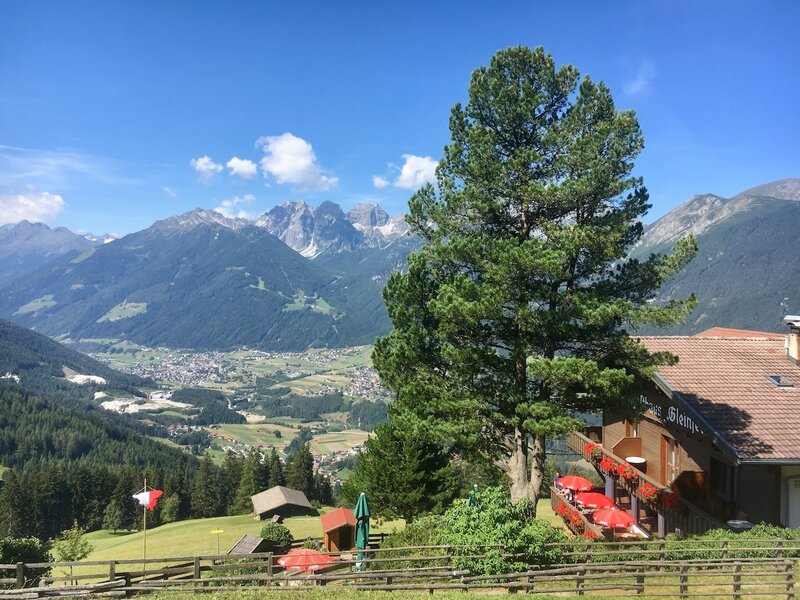 But now it is time to enjoy the return trip and to let the morning come to a relaxed end with the swings from the Sellraintal, the view of the Nordkette above the Inn Valley up towards the Stubaital. However, first we make a short detour from Schönberg via the sometimes rather narrow and cracked road up to the “Gleinserhöfen” at 1412m. 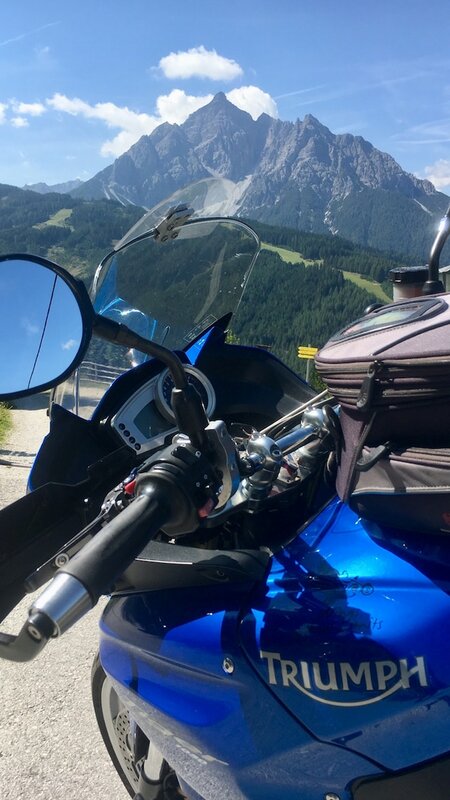 From there you have a wonderful view of the Stubai Valley, and the Innsbruck Nordkette below Mount Serles. But now, let’s go home. Information about the route can be found on RISER under ‘Harald Kreschnak’.